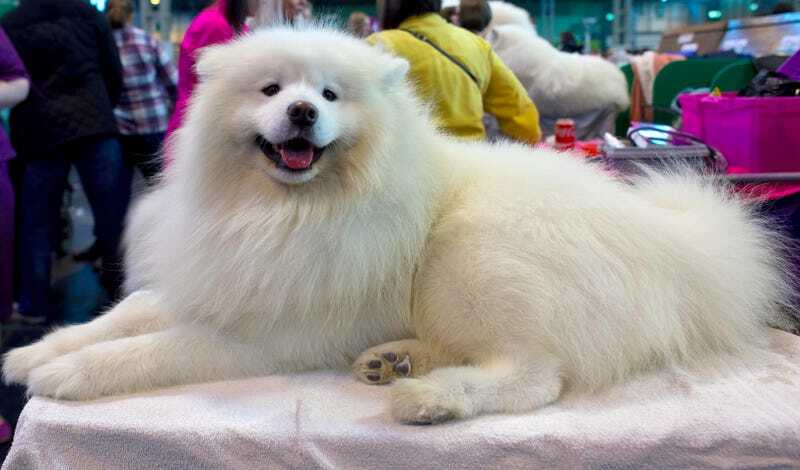 The UK’s 125th annual Crufts dog show wrapped up Sunday. Every dog in attendance was a very good dog. Here is your winner, a West Highland Terrier named Devon. Good job, Devon! A round of treats for Devon, please! This silly dog brought a stuffed animal. Buddy! Very stylish dog on the left. So flattering! So fashion-forward! Sometimes the dogs got sleepy. Sometimes their owners got sleepy. Dog shows are hard. Good dogs. All very good dogs.